Whether in the United States, South Africa, the Philippines or Saudi Arabia, I have witnessed how sports not only breaks down barriers, but is also a powerful tool to build young women up. The ball in and of itself has no bias. It knows not the hands or feet by which it is being guided. The rules of engagement are without prejudice or partiality. 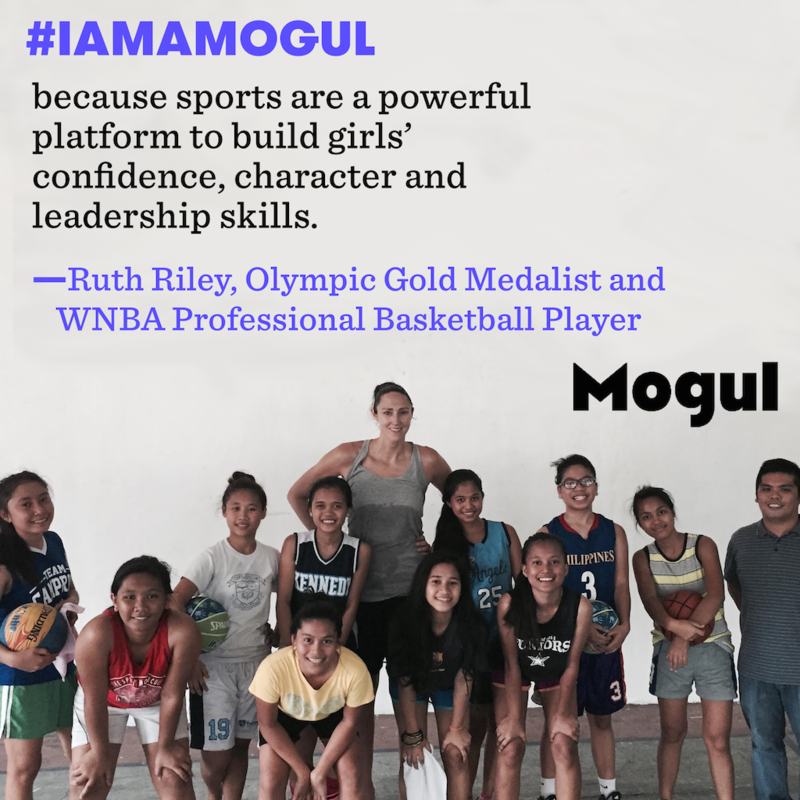 Sports simply set the stage for girls to gain confidence and develop leadership skills. Young women had for generations been excluded from performing on this stage, not because the script was only written for their male counterparts, but because men were the only ones allowed to try out for the part. Be it culture or custom, blatant inequality or narrow-mindedness, girls and women were relegated to the sidelines for far too long. In the United States, arguably one of the most progressive nations in the world, it took the legislative measures of Title IX in 1972 to establish the athletic framework that girls and women experience today. The ramifications of this extend well beyond the enjoyment of participating in a particular sport; they are being played out in the boardrooms as well. We have seen a direct correlation between the benefits of girls and women playing sports and success in the business world. A recent EY/espnW report shows that 94% of senior women business executives played sports and more than half of the women in C-suite positions played at the university level. Over the years, I have traveled to 42 different countries where I have witnessed the sport of basketball being played from the Olympic level to a grassroots orphanage in the Philippines. Through organizations like Peace Players, conflict zones are using sports as a vehicle for peace. The developing world serves witness to how sports can be an equalizing force and a much needed platform for inspiration and empowerment. My recent trip to Ethiopia allowed me to work with over 80 young girls who exhibited an infectious energy and passion to learn. Their daily struggles were beyond what most of us can comprehend, yet their joy for playing the game of basketball seemed to transcend them from the hardships of their reality to a place where small seeds of hope could grow. As I shared my journey with them, I could see the paradigm of what women are capable of in the world expand right before my eyes. It was as if I validated the dreams they had dared not verbalize. Beyond any skill that I could teach them on the court, I wanted them to leave with an unwavering belief in the potential that lies within each of them. Confidence is defined as: sureness, freedom from doubt, belief in yourself and your abilities. Regardless of age, socio-economic status or ethnicity, the reality is that we all have insecurities. They serve as our ever present shadows, waiting for opportune times to convince us that some misguided allegation is truth. So many young girls today are fighting messages of unworthiness, be it their body types, intellect or passions. Sports provide a vehicle to combat these messages by building their character and teaching discipline, perseverance, teamwork, and, yes, confidence. Honoring the heritage of former African basketball players, celebrating the growth of the game, and teaching, equipping and inspiring the next generation. Legends like Hakeem Olajuwon, Dikembe Mutombo, and Manute Bol overcame incredible obstacles of hunger, poverty, disease and lack of basketball infrastructure to create the first path to the NBA from the continent of Africa. That initial path was very narrow, only wide enough for their tall, lanky frames to forge through. Olajuwon was the first African player to be drafted to the NBA 31 years ago! Perhaps Dikembe was blessed with his 7’2” stature, not just to entertain us with his patented “finger wag” after blocking opponent’s shots, but rather because he was destined to be a trailblazing beacon of light for an entire continent of aspiring athletes to follow. These three foundational players took the initial question of “possibility” and turned it into a conversation about something tangible and concrete. What started with a very rugged, unmarked path has widened to a road that 63 NBA players have traveled down . . . and counting. With a vision to grow the game, the NBA, in partnership with FIBA, started global camps called Basketball without Borders (BWB) in 2001. 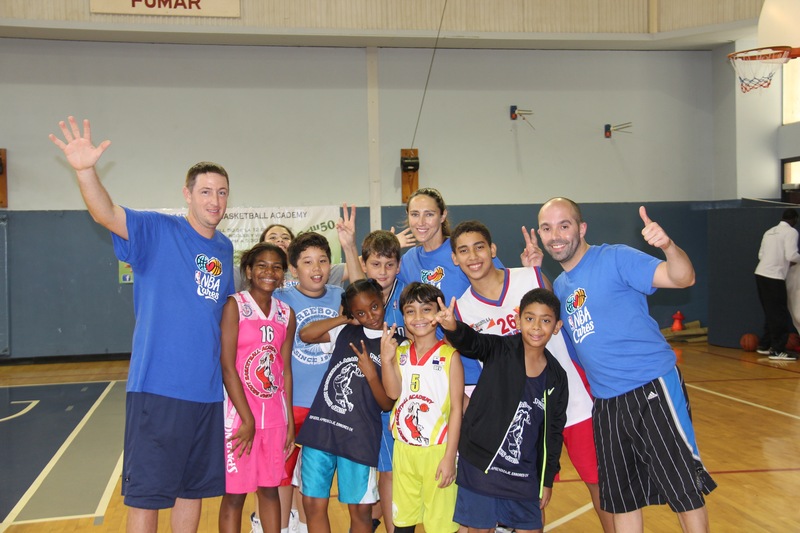 These camps are development and community outreach programs that unite young basketball players to promote the sport and encourage positive social change in the areas of education, health, and wellness. In the last 13 years BWB has worked with over 1,000 campers from 31 African countries, with 8 players being drafted into the NBA. The impact has transcended beyond these select few athletes, largely due to the power of partnerships and the commitment to scalability within each country by their Federations. These countries have realized that while there may be an endless pool of interest, potential and talent, there still has to be a system and infrastructure in place to cultivate and grow the game. Courts must continue to be built, coaches must be trained, and grassroots programs must be developed. There are skeptics who challenge why basketball matters in the developing world where many problems are life-threatening, and sports could seem like a luxury. My answer is simple: it is an empowering mechanism for change. 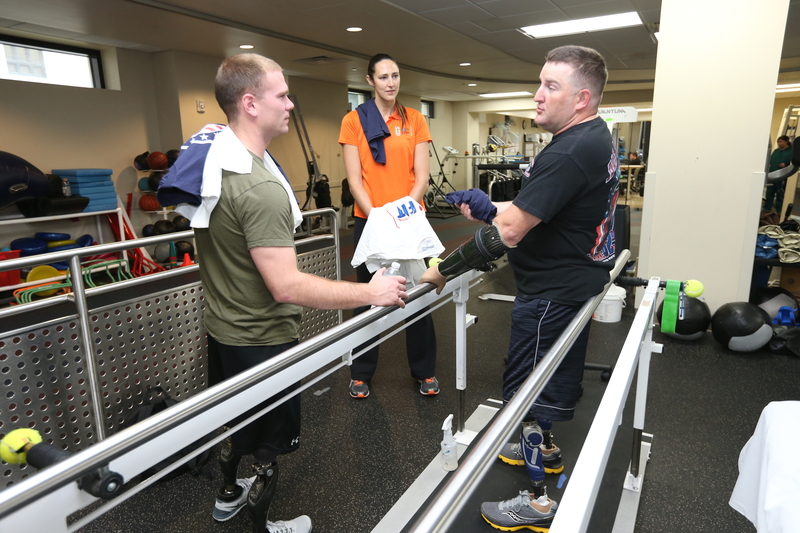 Aside from the pure health benefits and positive character developments like perseverance, teamwork and confidence, sports also provide a much-needed spark of hope. This new generation is desperately seeking a catalyst for change that resonates with them on a personal level. Kids may no longer listen to a generic message of HIV prevention because it has become redundant, but when it is incorporated through the fun and interactive activities of our partners at Hoops for Hope as life skills, it becomes more meaningful. Speaking specifically about my ladies now, when the girls see their teams are awarded the same opportunities as the boy’s teams in the BWB Camps and with the Jr. NBA program, a flicker of confidence and self-esteem is ignited. They start to insert themselves into a world where girls historically have been dismissed. Although I have no doubt the WNBA will see an increase of African players in the years to come, the reality is that those numbers will still be relatively small. 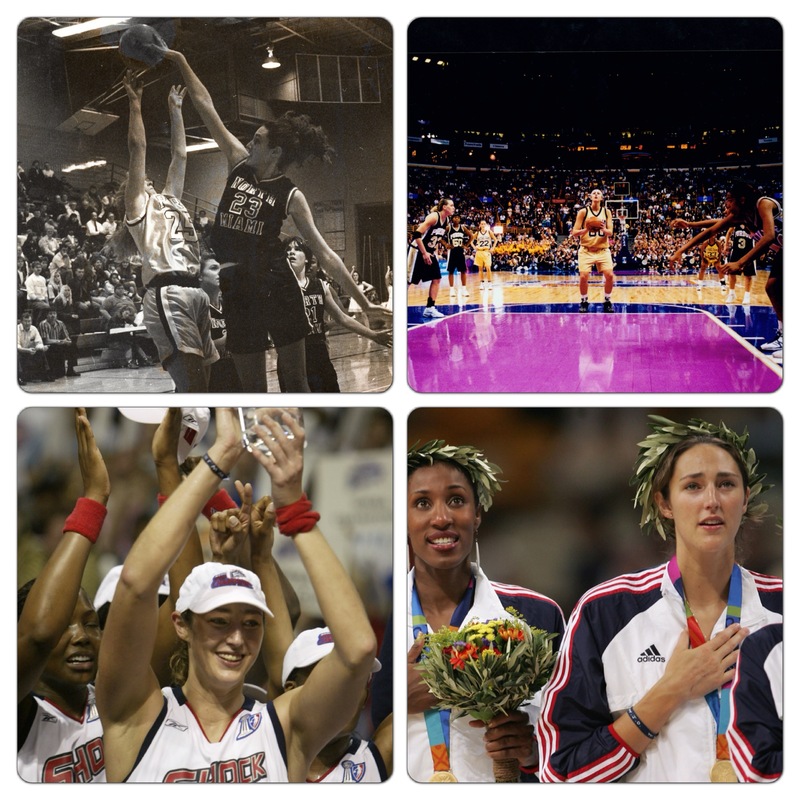 An Oppenheimer study found that 82% of women in executive-level jobs played organized sports growing up. It is my hope that because of the positive experience they have in sports, we see these young women start to aspire to be a generation of leaders on a continent where women in leadership positions are still an anomaly. This first NBA game in Africa will go down in the history books, not because of its championship implications, but because it is an emblem of the progress that has been made and the hope of what is yet to come. There was so much emotion and excitement in the air as Team Africa took the court vs. Team World. Although all of the African players had their native flags sewn on their jerseys as a symbol of their heritage and acknowledgement of where their journey began, it was obvious that they were all united by their innate sense of responsibility and pride in representing their “motherland.” For the fans, the game was a platform of accreditation and a sign of appreciation for their passionate support of the game of basketball. 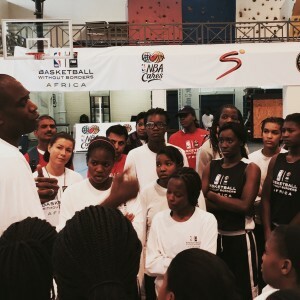 It was powerful to have the past, present and future of basketball in Africa in the same arena as Dikembe and Hakeem, who made cameo appearances in the game, played alongside our current NBA players, with the young BWB campers mesmerized by the athletes’ every move. Not only has a continent, once considered an outlier, solidified its place in the world of basketball, we have also seen that single, rugged trail the first NBA players blazed now be paved and widened to accommodate a generation of talented, young athletes! The final destination of that path is not just the NBA. It is a world where leaders are cultivated, equality is more visible, and social changes are championed! Looking over the audience at the Junior Chamber International (JCI) World Congress this past weekend in Leipzig, Germany, brought back fond memories of my experiences at the 2004 Olympics. It reminded me of the opening ceremonies, where the beauty and diversity that exists in our world was highlighted by the amazing culmination of countries, cultures, ages and races. For those not familiar with JCI, it is a non-profit of young, active citizens who are taking action to provide sustainable solutions in more than 100 countries around the world. I was incredibly humbled to be honored as one of their Top Outstanding Young Persons of the World in the category of Humanitarian and or Voluntary Leadership. In the sports, as a society, we love to idolize the “superstar.” If you ask any coach, or purist of the game, they would tell you that the winning shot does not happen without the rest of the team members playing their role. They are the ones who create space on the court, set the screen, and deliver the ball at the right time, and these “thankless jobs” are incredibly important to the overall success of the team. I think that concept is evident in our daily lives as well. 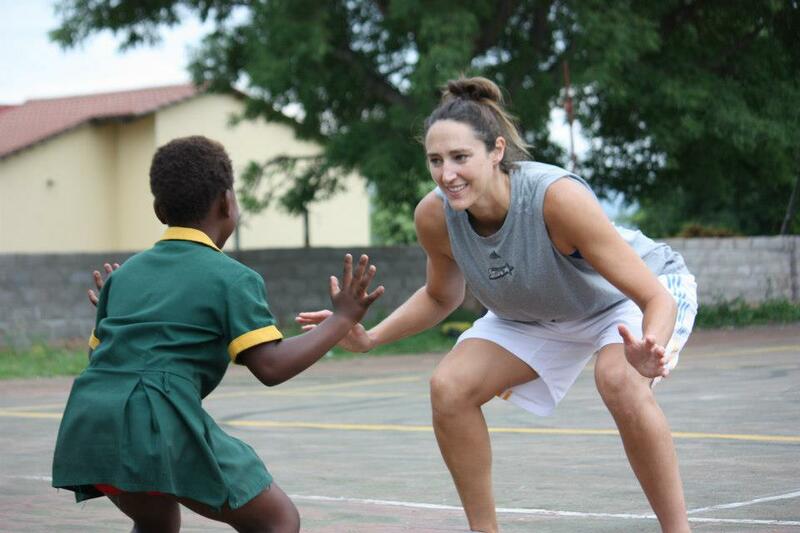 Take the UN Foundation’s NothingButNets campaign, which I have been a spokeswoman for on behalf of NBA/WNBA Cares since it’s inception in 2006. We would not have had the opportunity to take Stephen Curry to Tanzania a few years ago to help distribute nets if organizations like JCI wasn’t mobilizing people around the world to partner with the campaign. They participate in the BUZZ Tour, advocate on Capital Hill for funding, and just this past weekend I stopped by the NBN 3×3 tournament that JCI Turkey was hosting for the World Congress. 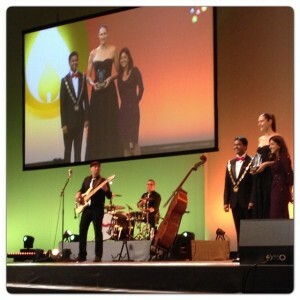 The most amazing thing is that NBN is only one of thousands of causes that JCI rally behind globally. It has been very inspiring and encouraging to witness the incredible impact that JCI members are making! While I am humbled that people admire my achievements and those of my fellow nominees, I hope that everyone can take a moment to recognize and celebrate the uniqueness and greatness that lies within each of you. I love the quote by Gandhi: “Be the Change you want to see in the World.” Our society so often portrays this impossible image that we should strive to live up to. Gandhi truly celebrated the potential that lies within each of us. 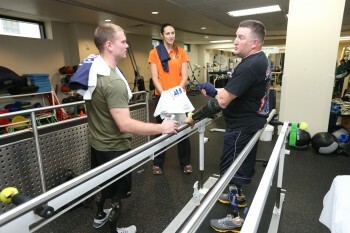 I believe our actions should inspire others, not to be like us, but rather to look within themselves and seek out their own unique purpose in life. Each day we are given a virtual pen and paper and how we live out those 24 hours, the time that we invest, the love that we share, the encouragement and resources we provide will inevitably dictate the story of our lives. Starting in 2012, the Tuesday after Thanksgiving has been named #GivingTuesday. Seeing an opportunity to channel the generous spirit of the holiday season to inspire action around charitable giving, 92nd Street Y and the UN Foundation came together to find ways to promote and celebrate the great human tradition of giving. So as you contemplate your purpose, seek out a charity that you are passionate about and spread a little holiday love this season!!! 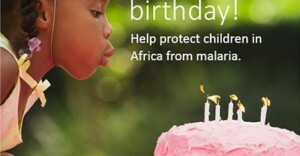 Since I am way past the period of my life where I expect gifts or get excited about adding another year to my age, I decided take the day and celebrate it by donating my birthday to one of my favorite charities!! I have been a founding spokesperson with NothingButNets, and witnessed firsthand the devastating effects of malaria as well as the unbelievable joy expressed by mothers who are given this life-saving net for their children!! I’m donating my birthday because I believe every child should have the chance to experience the joy and excitement of a birthday. But every year, more than half a million African children affected by malaria don’t make it to their next birthday – that’s one child every 60 seconds. Malaria is a disease spread by a single mosquito bite. Every 60 seconds, a child dies from malaria — which is easily prevented through the use of an insecticide-treated net. A net costs just $10 to purchase, deliver, and educate the recipient on its proper use. If you want to make a $10 birthday donation, just log on to: NothingButNetsBirthday and all proceeds go directly to NothingButNets!!! At first glance, my height, skin color, and even my accent screams a foreigner has come to the Nkomazi region of South Africa near the Swaziland border—yet my 4th trip back to this area ensures that I am not greeted as another Umfati Wemlungu (white woman), but rather I am embraced as a coach, sister and friend. This last installment of my African blog is about the most fulfilling part of my trip. Traveling to this remote region in 2006 helped ignite the passion for my humanitarian work. It was then that I learned about all the multi-faceted challenges that my friends faced every day of their lives because they were born in a place where the unemployment rates, HIV prevalence, and poverty levels rank amongst the highest in the world. When involved in any grassroots effort the key to success is sustainability. I remember coming home from the first trip feeling an enormous ache in my heart to help, coupled with this sense of overwhelming inadequacy of not knowing where to begin. I knew I could not solve their problems myself, but what I could do was be a consistent force helping them move in the right direction. One of the most glaring needs I recognized was that there was a complete void of leadership within their community. Everyone was in survival mode, and therefore they were completely focused on how they personally were going to make it to tomorrow, with little forethought as to how to create a better future. Without someone to inspire and guide them in a different direction, the community was stuck in this hopeless cycle of desperation. Now I want to introduce you to three amazing young men: Zola, Sabelo, and Scratch. Known as some of the best basketball players in the region, they were participants in my first ever skills camp over six years ago. As some of the older players in the area, they were required to perform the dual duty of coaching and playing. Zola has recently decided to sacrifice his love for playing and in turn spends all of his time investing in the younger generations. He (with the help of his friends) are organizing thirteen and under teams for both girls and boys at the local elementary schools. They spend every afternoon teaching them not only basketball, but most importantly life skills. These men are putting Gandhi’s words to action as they are trying to “be the change they wished to see in their communities.” This time my flight home invoked a few different emotions than my first trip. Yes, I was once again extremely passionate about doing what I can to help, but instead of being overwhelmed by the complex problems, I had a sense of hope. For the first time, this community has young men who are willing to lead, and that is the initial step of making progress sustainable!! Here is a video of the work we were doing! Each year I am amazed at the places I travel to, the people I meet, and the experiences I have all due to a little orange ball. Panama is now the newest stamp in my passport as I have had the opportunity to spend this past week there working along side two of the NBA’s best camp instructors, Donnie Arey and Antonio Perez with the Orlando Magic. Jump Shoot Basketball Academy was started in 2004 by two brothers, Luis and Victor Julio, who possessed an equal love for the game of basketball and vision for helping develop the sport in their native country. With this dream in mind, they started their own basketball academy and have spent the last 8 years teaching the fundamentals, developing coaches, and creating teams to compete in various national and international competitions. The differences in the camp were evident at first glance, as the gym was filled with girls and boys from 6-17 years old, of various nationalities and skill levels. The similarities were equally evident though, as they were all hard workers who were very eager to learn!! The focus of this week of camp was to teach drills that were both challenging and fun and that would develop both foundational skills and a love for the game!! Donnie, Antonio, and I not only spent the week teaching the 100 plus kids that enrolled in our camp we also had the opportunity to work along side the Jump Shoot Academy coaches, passing on knowledge so that they are better equipped to instruct the kids the rest of the year. My travels have always provided me with a first-hand history lesson, so it was only fitting that the first place I visited was the Mira Flores Panama Canal. The United States helped construct this amazing engineering waterway system in 1914, making it a lot faster to transport materials and goods between the Atlantic and Pacific Oceans. After an incredible private tour, where we were able to walk over the locks, we had the chance to watch an enormous Chinese cargo ship navigate through the various locks with only 2 feet to spare on either side for a bargain price of $400,000!! Living in Miami, it was an easy transition to go from one tropical city to the next. Founded by the Spanish in 1519, Panama City still has some of the remains for the Old City, or Panama Viejo along with the new city which is being restored to show its stunning architecture as it outlines the coastline. Panama is one of the fastest economically developing countries in Central America and is one of the top 5 retirement destinations in the world!! What I love more than the sun and the landscape is the people that I met. Victor, Luis and their amazing wives and children truly made me feel at home as they welcomed me to not only their country, but also their family! I have so much respect for the Julio family for their devotion to the Panamanian Youth, when we see our first Panamanian WNBA player, without a doubt it will be because of Jump Shoot Academy!! Gracias a una pelota de baloncesto cada año me sorprendo con las experiencias, los viajes y la gente que la misma me permite conocer. Esta pelota de baloncesto me da oportunidades que nunca soñé poder disfrutar. Panamá es ahora el nuevo sello en mi pasaporte ya que he tenido la oportunidad de pasar allí una semana trabajando codo con codo con dos de los mejores instructores campamentos de la NBA, Donnie Arey y Antonio Perez que pertenecen al Orlando Magic. La Jump Shoot Basketball Academy fue iniciada en 2004 por los hermanos Luis y Víctor Julio, que de la misma forma que sienten pasión por el juego de baloncesto tienen interés de ayudar a desarrollar el deporte en su país de origen. Con este sueño en mente, comenzaron su propia Academia de baloncesto y han pasado los últimos 8 años enseñando los fundamentos del deporte, desarrollando los entrenadores y creando equipos para competir en varios concursos nacionales e internacionales. Se notó la diferencia en el campamento inmediatamente, el gimnasio se llenaba de niños y niñas de entre 6 a 17 años de edad, pero con diferentes nacionalidades y niveles de habilidad. ¡Lo que si tenían en común todos ellos, eran las ganas de aprender! El enfoque del campamento esa semana era enseñar ejercicios que fueran desafiantes pero divertidos, mientras que al mismo tiempo los jugadores encontraran la oportunidad de desarrollar los fundamentos del juego y sentir pasión por el mismo. Donnie, Antonio y yo no solamente pasamos la semana enseñando a los más de cien niños que se inscribieron en nuestro campamento, pero también tuvimos la oportunidad de trabajar con los entrenadores de la Jump Shoot Basketball Academy quienes se dedicaron a trasferir sus conocimientos a los entrenadores locales pare que ellos estén mejor equipados para instruir a los niños el resto del año. Mis viajes siempre me han servido para proporcionarme una lección de historia a primera vista, así que era lógico que el primer lugar que visité, fuera el Canal de Mira Flores en Panamá. Los Estados Unidos ayudaron a construir este sistema de ingeniería único en navegación en 1914, haciendo mucho más rápido el transporte de materiales y mercancías entre los océanos Atlántico y Pacífico. ¡Después de una visita privada, donde pude caminar sobre las cerraduras del canal, tuvimos la oportunidad de ver un enorme carguero chino navegar a través de las varias cerraduras con sólo 2 pies de sobra a ambos lados por la pequeña cifra de cuatrocientos mil dólares! Para mí fue muy fácil pasar de mi vida en Miami, una ciudad tropical a otra muy similar en el país de Panamá. La ciudad de Panamá fue fundada por los españoles en 1519 y todavía cuenta con los restos de esa estructura original o Panamá Viejo que junto con la nueva ciudad está siendo restaurada para exhibir su impresionante arquitectura que traza la línea de la costa. ¡Panamá es uno de los países de Centroamérica con más rápido crecimiento económicamente y es uno de los cinco principales destinos que buscan las personas de la tercera edad para disfrutar su retiro en el mundo! Lo que me gustó aún más que el sol y el paisaje fueron las personas que conocí. ¡Victor, Luis y sus esposas e hijos me hicieron sentir como si realmente estaba en mi casa al acogerme no sólo a su país, pero sino también a su familia! ¡ Me siento tan honrada y tengo tanto respeto por la familia Julio y por su devoción a la juventud panameña, que tengo la certeza que nuestro primer jugador panameño en la WNBA, será sin duda una graduada de la Jump Shoot Basketball Academy!